I found a game on Google Play this afternoon, and following 20 minutes of intense, yet frustrating gaming, I think you all should check it out too. The game is called Let it Goat! 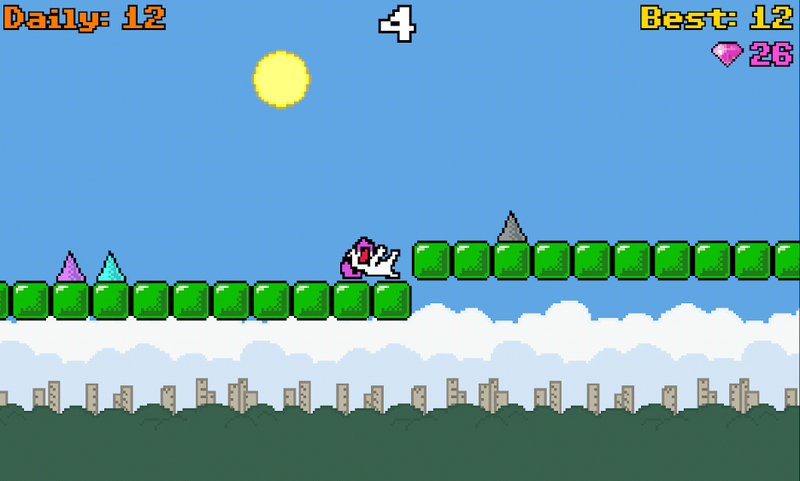 In the game, which is a endless platformer of sorts, you play as a goat that seems to be running for its life. In the game, you must dodge sharp spikes, hurdle zombies, and can befriend bears that will help you get further in the game. When you die, you start all over. While the graphics are somewhat corny, the soundtrack that plays behind your goat is where the money is at. It’s super catchy. While it may drive a few folks insane, the mix of challenging gameplay and high tempo music is just what I look for in an addictive game. Luckily for everyone, the game is free to download and enjoy. You can expect to see a few ads, but none get in your way while playing. Go grab it.